Clockwise from top left: Big Bottom Market; Boon’s Crista Luedtke and consulting mixologist Christina Cabrera; El Barrio | Photo Credit: Kelly Puleio (Big Bottom Market). Courtesy of Boon Hotel + Spa. Courtesy of El Barrio. It was post-harvest when my partner and I headed toward Sonoma’s scruffy Guerneville, leaving Napa’s polished and pretty Yountville where we’d spent the last two days visiting wineries geared to touristy inebriation. 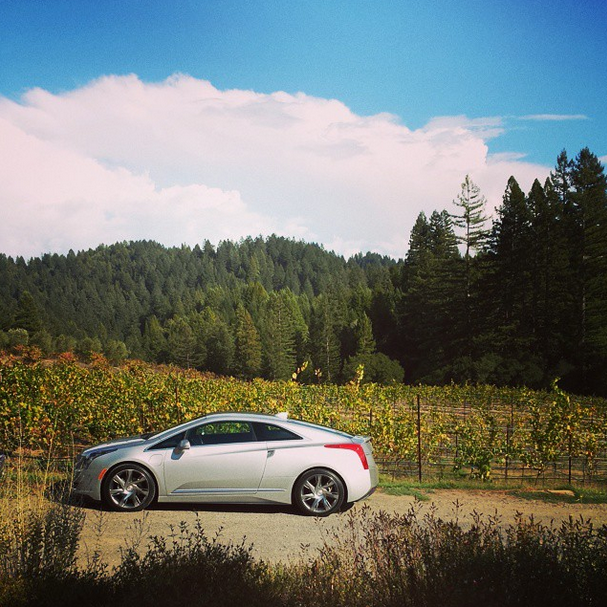 It was our first trip to California’s wine country and, as we threaded our way down the twisty terrain of a hilly back road (luckily, from the comfort of a Cadillac ELR we were test driving), the golden leaves of the vineyards passed from view, and something in the air shifted as redwoods towered over us. Without even realizing it, we’d found a perfect romantic respite, and it started with this bucolic setting. 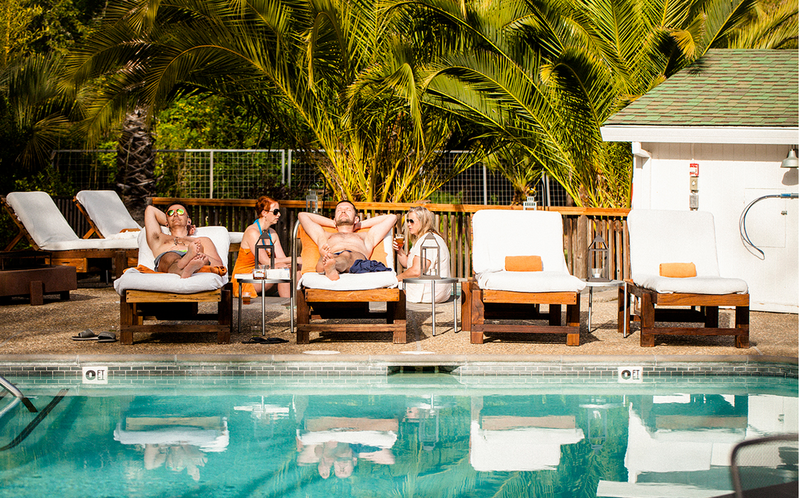 We spotted the Boon Hotel + Spa (BoonHotels.com), which looks like a chic trailer-park oasis nestled amid enormous trees. Pulling into the gravel parking lot, we saw signs pointing to a chicken coop and a vegetable garden. Though the Boon has all the comforts of a luxury boutique — especially with the solar-heated saline pool and cocktail bar — we ditched the car, hopped on orange bikes, and began pedaling the three miles to nearby Armstrong Redwoods State Natural Reserve (which happens to be featured in the Season 2 premiere episode of HBO's Looking). Dwarfed by trees as tall as 310 feet and as old as 1,400 years, we were enchanted by the ancient forest, filled with the nostalgia of childhood freedoms. 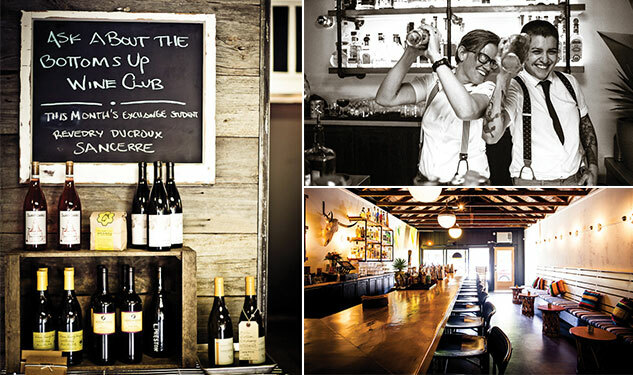 Although the area along the Russian River has been popular with folks from the Bay Area since the late 19th century, and saw a gay renaissance take place in the 1970s, Guerneville still feels like a fresh discovery. That’s partially thanks to a new wave of imaginative entrepreneurs setting up shop in a town that remains rough around the edges. Crista Luedtke, for example, has a mini tastemaker empire. Along with Boon Hotel + Spa (her establishment), she runs Boon Eat + Drink, co-owns Big Bottom Market, and recently opened El Barrio, an upscale Mexican-themed bar serving top-shelf mezcals. Just a few doors down, chef Mike Selvera, who made a name for himself at Bar Crudo in San Francisco, is serving up amazing raw seafood (without the fuss or long waits) at Seaside Metal (SeasideMetal.com). 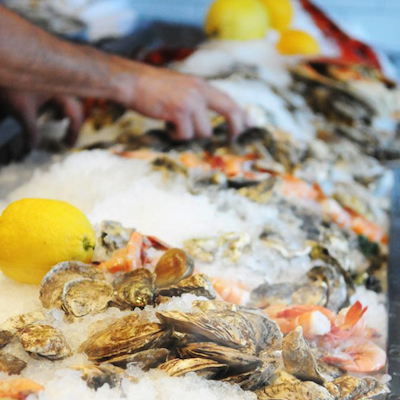 Oysters, uni, and wine: the perfect way to get in the mood. Located a half mile from the center of town, the pale-tinted rooms at Boon Hotel + Spa are outfitted with freestanding fireplaces and Malin + Goetz products. Guests who want a little more outdoor relaxation can now choose cozy glamping tents positioned on the grassy lawn behind the pool area. After cuddling in the fair-trade cotton linens by Coyuchi, waking up to a breakfast of freshly brewed coffee, biscuits, and yogurt delivered to your door adds a touch of class. .com), an unpretentious gay bar and popular hangout, has anchored the strip for years, and remains an entertaining place to meet the locals.